How are you today? I recently participated in the ESAD Card Swap using products from the new Holiday Catalog. I showed you the three cards I made for the swap last month. 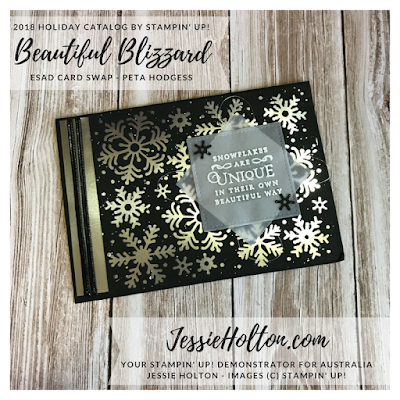 Today I'm showing you a card made with Beautiful Blizzard Bundle by Peta Hodgess. 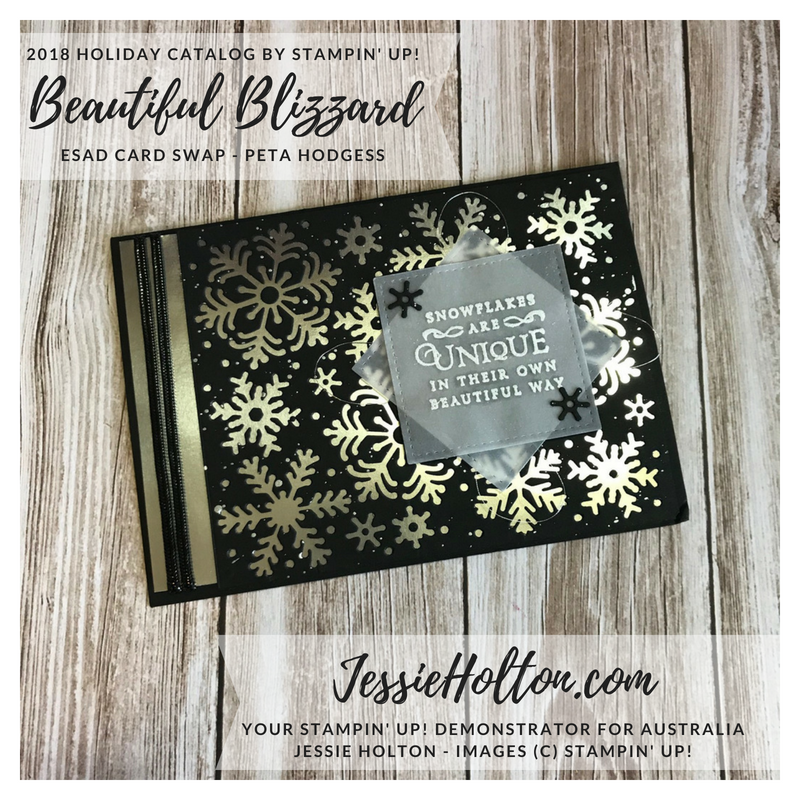 Isn't it stunning in just black & silver with the white heat embossed sentiment on vellum & splattered with Frost White Shimmer Paint.